Our plumbers in London are some of the most experienced and veteran tradesmen operating in the local area. Having been in the industry for many years, but also having undergone advanced training in the most modern methods, our plumbers possess the best of both worlds when it comes to restoring your household or office plumbing to perfect working condition. Whether it’s a leaking tap, blocked u-bend or a hundred other problems besides, you can count on our team to get efficient results. As mentioned above, all of our London plumbers are highly experienced professionals with top levels of training. But, what’s more, they’ve all been fully police checked and give full insurance before they started to work for us, so they’re safe and reliable too! When you include their access to the specialist, top of the range equipment we have, this all adds up to fantastic service for you. 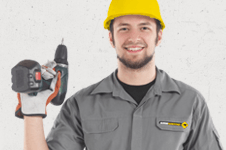 Why Hire Us for Plumbing in London? 24/7 customer service: get in touch with us immediately if a disaster has occurred. We can be with you in a very short space of time and our lines are always open to receive your call! Rapid response: you can make your appointment for a wide range of convenient booking times, from early morning to late evening, and we also offer a same-day service for emergency situations! Great feedback: check out what our past clients have had to say about the fantastic work we do by reading the customer testimonials over on our reviews page now! Book an Emergency Plumber in London Now! Call us on 020 3746 0607 now to book a London emergency plumber. We have a team of specially trained customer care advisers who keep our phone lines open and fully staffed 24 hours a day, 7 days a week, so there's never a bad time to call! You'll be able to make your booking quickly and easily, and we also offer alternative communication methods, namely our online booking form and instant web chat support facility, so there will never be a time that you won't be able to reach us. Our plumbers in London are highly skilled professionals so you'll get great service. Plus, we offer a range of other handy services, including home property maintenance and electrical services to meet all of your household fix-it needs!